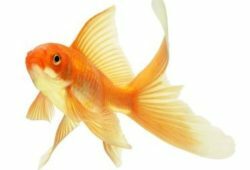 The article concerns the following question – How Many Fish Can a Tank Hold and When to Add Them. Novices in the aquarium hobby have a tendency to buy too many fish. With a wide variety of attractive fish at the pet store, it’s easy to forget the size of the tank they are going into. In addition, some beginners don’t know how to determine the number of fish that can be safely put into an aquarium. Beginners don’t always know when is the right time to add fish to a new aquarium. Too many novices fill up an aquarium with water and run out to buy fish. The fresh, clean water from a tap may be good for humans but it is bad for fish. 1 How Many Fish are Safe in one Aquarium? 2 How Soon can Fish be Added to an Aquarium? How Many Fish are Safe in one Aquarium? Some people say it’s one inch of fish per gallon and others say one inch of fish to every three gallons of water. To be safe, one inch per gallon is the maximum allowable limit. 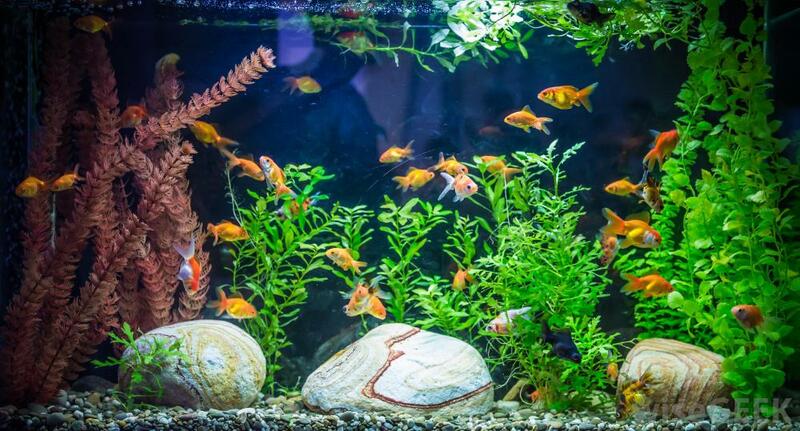 Overcrowding a tank can cause health and growth problems in the fish plus it can ruin the water. It is very important to determine the full adult size the fish will attain because this is how to calculate the allowable limit of fish. Most fish in stores are sold as babies so allowance has to be made for growth. This entails researching the species for this information. If 20 one-inch baby fish are put into a 20-gallon aquarium, this is not allowing for growth. If each fish grows one inch, that will be 40 inches of fish in that aquarium and that will be considered overcrowding. In a 20-gallon aquarium, six 4-inch fish would be pushing the limit, therefore, five fish would be the maximum number of fish to put in that size of aquarium. How Soon can Fish be Added to an Aquarium? When a tank is just filled, this is not the right time to add fish. There is a chance that maybe 30% of the fish will live. When an aquarium is first set up, the water in the tank has to be cycled. This means getting out all the chemicals added for human consumption which are poisonous and toxic to fish. Even with these chemicals that the store sells to make the tank instantly ready for fish, the tank is not fully cycled. The tank should be set up with the filter because this will help build up good bacteria in the filter medium. The cycling process can take one to two weeks. During this period the PH and hardness of the water should be tested. If unsure about the quality of the aquarium water, take a sample to a local pet store and let them test it. There are a couple of ways to fast track the cycling process. Use dirty gravel out of another tank or use dirty filter material and this will help speed up the production of good bacteria. Another method is to partially fill the tank with water from a old established aquarium. The recommended first fish for a tank are Danios or Barbs because they are hardy. Once the tank is cycled, don’t be hasty and buy the maximum allowable number of fish for the aquarium. Just add one or two fish at a time and give them a week or two to settle in before adding more. 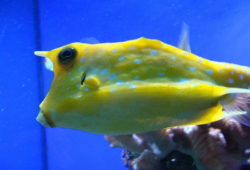 By taking the time to determine the number of fish allowable in an aquarium and to cycle a new tank, there will be a higher survival rate of the fish. Many beginners get discouraged and pack up the aquarium, rather than benefiting from an enjoyable hobby.